We flew into Addis late at night on July 28. 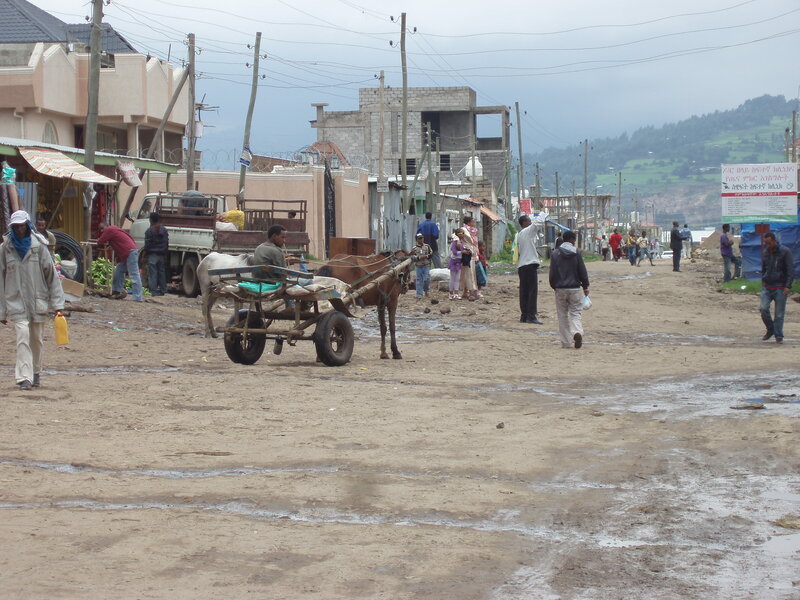 The middle school principal and a driver met us in the airport parking lot and chauffeured us to our new home in the Lebu district of southwestern Addis Ababa. A street in the Lebu neighborhood, where we live. The concept of apartments for ICS teachers is new. Until recently, the school leased individual houses near campus for all of the overseas teaching staff. But over the last few years, an increasing number of NGOs and overseas corporations have been placing staff in that neighborhood, and rental prices have skyrocketed. ICS still offers houses to couples with more than one child, but singles, couples, and us – the only teaching family with one teenager – are now being moved into apartments. 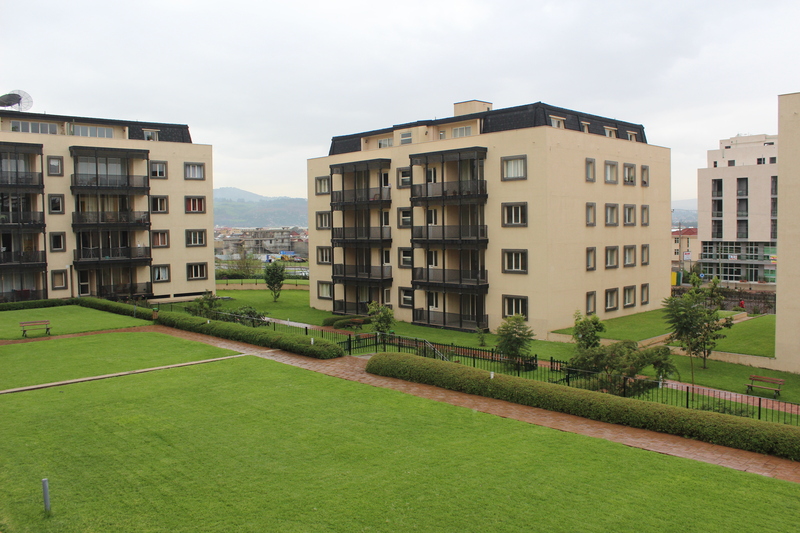 The school arranged with an Italian developer, Mr. Varnero, to reserve an entire new apartment building for ICS teachers. The building is part of a larger development of apartments, townhouses, and villas. Of the 12 units in the ICS building, 9 are occupied so far. Most of our neighbors are new overseas hires like us. We call ourselves the Varnero faranji (faranji being the Amharic word for foreigner). Varnero is a kind of faranji oasis in Addis, sort of a compound. Addis in general has a very organic, unplanned – you might say chaotic – look about it. In contrast, Varnero is trim and neat with a lot of 90 degree angles. I’m not keen on the idea of compound living, but our apartment is still a nice place to come home to. Varnero apartment complex, from our balcony. Our building is exactly like these.